Dr. Rodriguez is a board-certified family physician. He received his medical degree from the University of San Francisco, and completed his residency at Natividad Medical Center. He also serves as a member of the American Academy of Family Medicine, Alpha Omega Alpha. 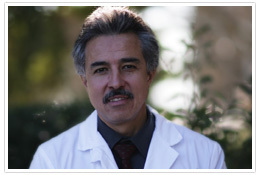 Dr. Rodriguez enjoys teaching and has remained a clinic associate professor for UCSF since 1987. In addition to having served multiple staff appointments, he recently held the position of Vice Chief of Staff and Chairman of Quality and Safety Committee for Salinas Valley Memorial Healthcare System. He currently holds the position of Associate Chief of Staff for Salinas Valley Memorial Healthcare System.